If your recipe calls for taco seasoning and you don't have a package in your pantry, use this easy-to-make substitute. 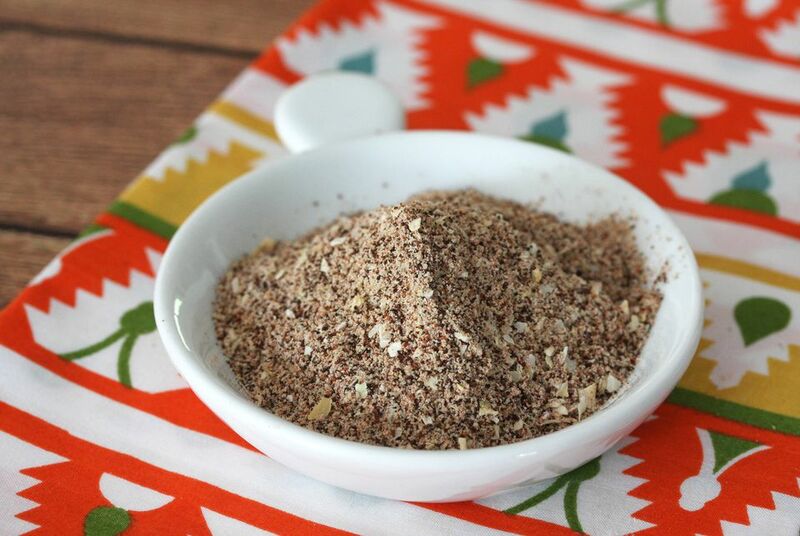 This taco seasoning blend is salt-free, so when you use it in a recipe be sure to taste and add salt, as needed. This do-it-yourself spice blend takes no more than 5 minutes to make. Scale it up and store it in your pantry; use about 2 tablespoons in any recipe calling for taco seasoning. Use this seasoning blend in soups, stews, chili, casseroles, meatloaf, meatballs, and any recipe calling for taco seasoning mix. This recipe makes the equivalent of one envelope (approximately 1 1/14 ounces) of taco seasoning mix. Spoon 1 tablespoon of minced dried onions in a small bowl or cup. Add 2 teaspoons of chili powder. Add 1 teaspoon of garlic powder. Add 1 teaspoon of cornstarch. Add 1 teaspoon of ground cumin. Add 1/2 teaspoon crushed red pepper flakes, cayenne pepper, or hot paprika. *If desired, omit the salt in the taco seasoning mix. When you use this seasoning mix in a recipe, add salt to the recipe suit your taste. This seasoning blend is not just for tacos! You can use taco seasoning to spice up meatloaf, soup, burgers, tomato sauce, casseroles, and dips. Or add some taco seasoning to pulled pork or shredded beef for delicious sandwiches, burritos, or tacos.